We all know that music has always been an integral part of any culture. Its transcendent potency to literally shape and influence entire societies of people has unquestionably made it one of the top influential forces in any culture. But with the massive influx of musical sharing mediums such as Facebook, YouTube, iTunes, (and the list goes on), our musical exposure has never been at a greater height. Accordingly, taking piano lessons has never been more popular. 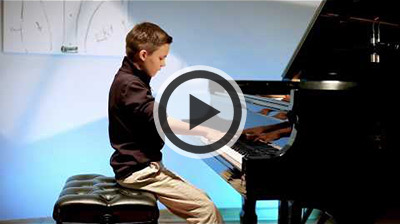 Music stores, music schools and piano studios are everywhere in Atlanta! The web is packed with companies who outsource piano instructors to teach in people's homes. There are literally hundreds of piano instructors in Atlanta. Parents often tell me about my interpersonal aptitude to relate and connect to different kinds of students, a vital but often overlooked component of teaching. Those taking piano lessons with me generally feel very comfortable and relaxed with me. What good is it for a piano teacher to have a lot of musical knowledge without being able to develop strong relationships? Along the same lines, they often share with others about my intuitive ability to adapt to different kinds of students (e.g. gender, age, level, personality, etc.). Specifically, they talk about my skill to tailor my curriculum and demand according to their needs, goals, vision and abilities. My families appreciate my driving passion to motivate and inspire musical excellence. Developing advanced, creative musical artists defines my teaching studio. They will tell you that I have an endless drive to challenge my students in the smallest of details, proper technique, musical artistry and creative expression. Yet, they will also not hesitate to also add that I have a natural gift to balance it with grace, understanding, and encouragement. 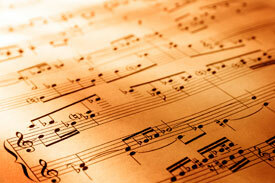 Because teaching the piano is the perfect synergy of art and science, it has endless facets (e.g. notation, technique, rhythm, dynamics, phrasing, creativity, theory, etc.) Many piano teachers have a lot of knowledge and degrees, but don't have the slightest idea how to present all their knowledge in a coherent, logical, simple and effective manner to the point where students are able to easily grasp all the necessary concepts and clearly understand their goals and assignments. They tell me that I equip them with the proper "tools" to make their practice more effective. I encourage anybody interested in taking lessons from me to attend one of our four annual recitals and see my students play. I think you will be impressed. Across the board, my students play with a distinct musicality, precision and technicality not found with most piano teachers. Many of them play extremely difficult pieces, yet with musicality, impeccable technique, style and personality. When you watch some of them play, it's very obvious that they love sharing their music. You will also notice a sense of excitement at the recitals. Music is an integral part of life with most of my students. Because we have so many performances throughout the year, most of my students know each other very well and feel very comfortable around each other. There is a distinctive positive pressure to want to thrive and pursue excellence in my piano studio. Anybody can list fancy credentials or make big claims as a piano teacher. But I want you to hear from my students themselves. As they say, "The proof is in the pudding." If you have any other questions about my approach or teaching method, I would be glad to share it with you. Just give me a call or email me. I hope to hear from you soon!